The Trump administration has brought cases to the World Trade Organization (WTO) challenging tariffs imposed by China, the European Union, Canada, Mexico, and Turkey. The tariffs were in retaliation for tariffs the United States levied on steel and aluminum. In levying the tariffs of 25 percent on steel and 10 percent on aluminum, the Trump administration used a national security exception to the WTO agreement. A U.S. law, the Trade Expansion Act of 1962, empowers the president to impose tariffs on imports the Commerce Department determines are threatening national security. The EU and Canada have stated that they are longtime U.S. allies and so their imports cannot be a national security threat. Mexico likewise defended its retaliatory tariffs. “The purchases the United States makes of steel and aluminum from Mexico do not represent a threat to the national security,” Mexico’s Economy Ministry said in a statement. 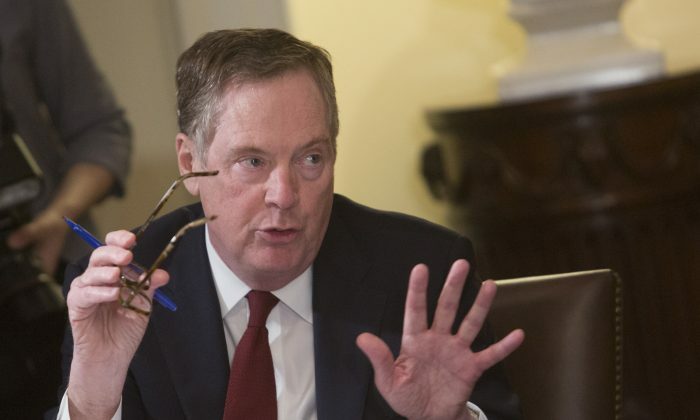 U.S. Trade Representative Robert Lighthizer said last month that retaliation had no legal basis because the EU and other trading partners were making false assertions that the U.S. steel and aluminum tariffs are illegal “safeguard” actions intended to protect U.S. producers. The EU has imposed 10 to 25 percent tariffs on $3.2 billion in U.S. imports; Turkey has imposed 4 to 70 percent tariffs on $1.8 billion in U.S. imports; Canada has imposed 10 to 25 percent tariffs on $12.7 billion in U.S. imports; and Mexico is imposing 7 to 25 percent tariffs on $3.6 billion in U.S. imports. Whether the United States will actually seek adjudication on its challenges is yet to be seen. Adjudication can take years. Meanwhile, the United States has refrained from appointing new members to the WTO’s seven-member appellate body. With only four members, it is able to hear fewer cases, slowing down further the WTO appeals process.